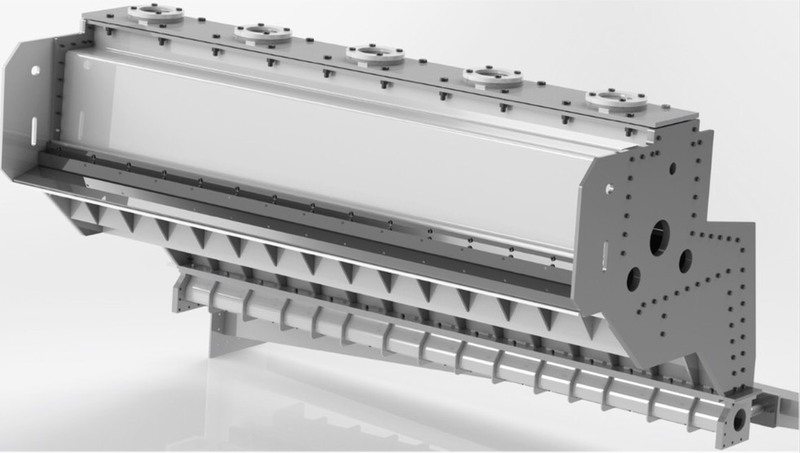 The Slice opening together with the head box pressure determines the volume of the head box jet flow and thus the consistency of the outflowing stock . The Slice opening also affects also the qualitative properties of paper . 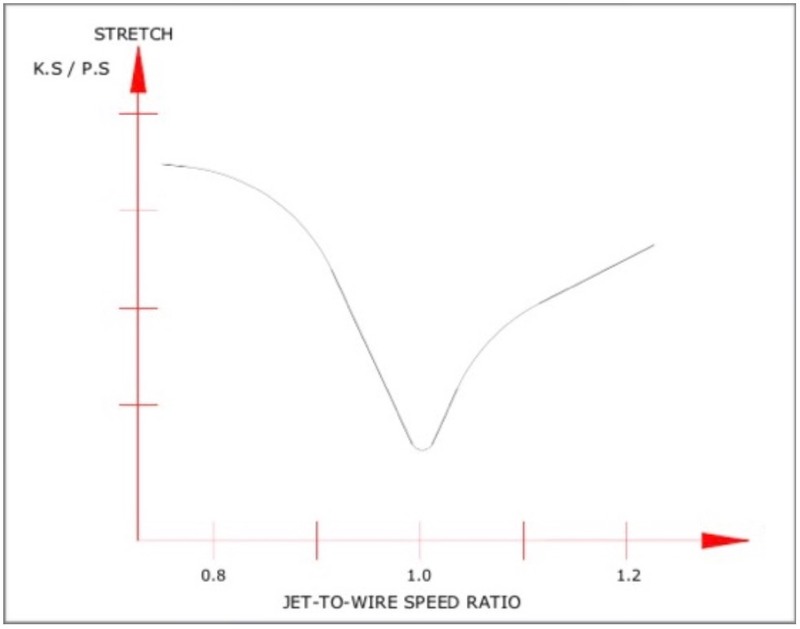 In Practice , the L/B ratio on a paper machine varies in the range between 0.8 — 1.2 . 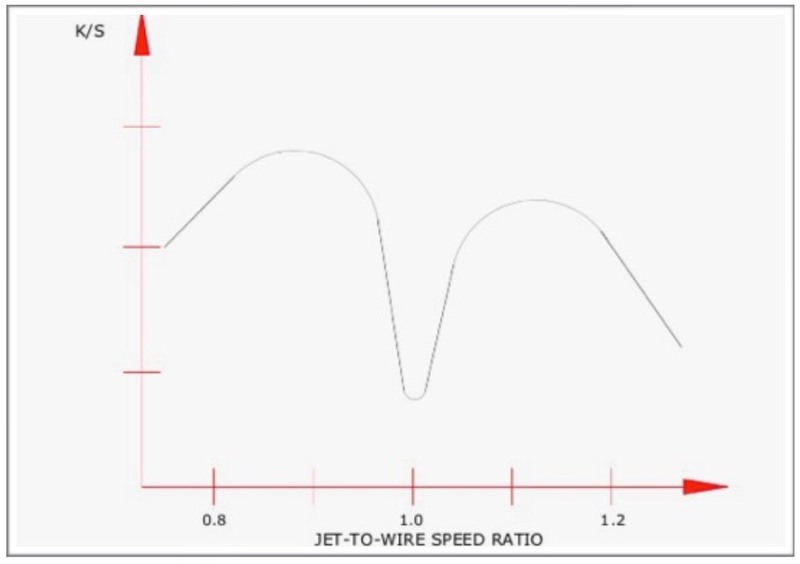 If the velocity changes considerably , re-check the jet impact point . 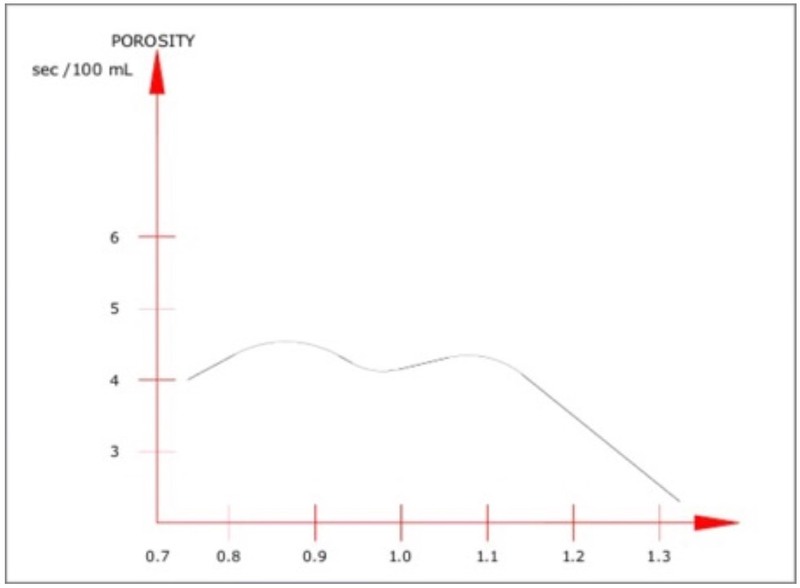 * With a low consistency , wide slice opening and the profile strip drawn back (L/B ratio about 1) , the distance of the forming board from the breast roll centre must be larger than with a higher head box consistency . On the other hand , good formation demands rather efficient initial dewatering . * By changing the wire speed . The computer will then recharge the head box pressure in order to keep the jet-to-wire speed ratio constant . 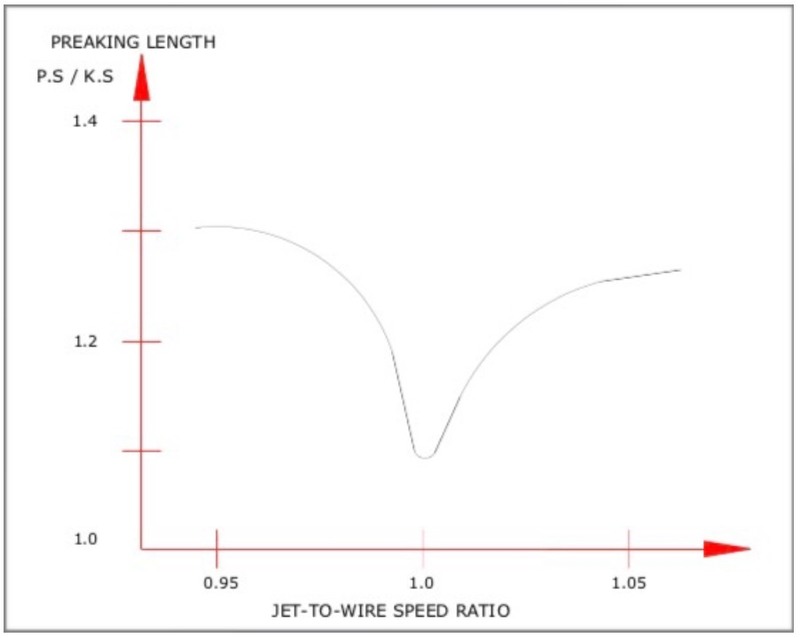 The MD Tensile Strength increases uo to certain point when the jet-to-wire speed ratio deviates from 1 . 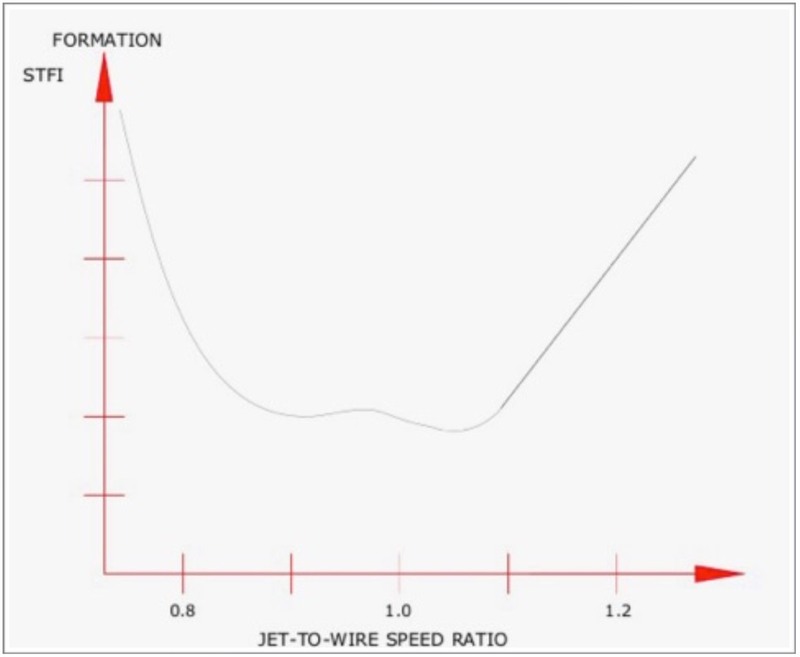 When the fibre orientation increases (jet-to-wire speed ratio deviates from value 1). 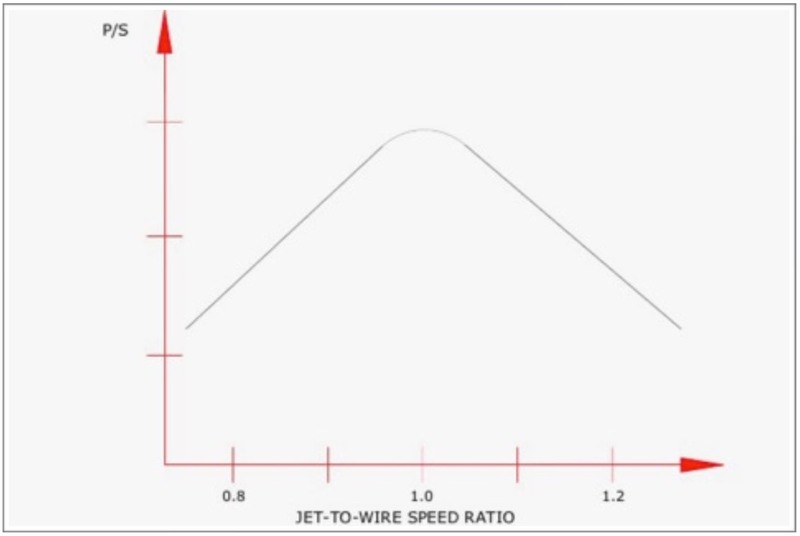 The Correct jet-to-wire speed ratio is found experimentally . 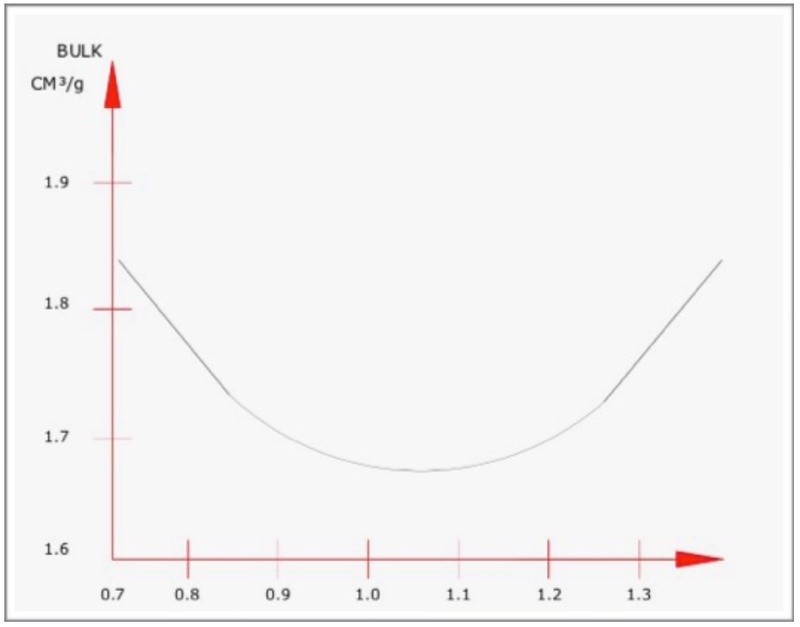 In general , the ratio is slightly less than 1, but a ratio some what above 1 is also possible .